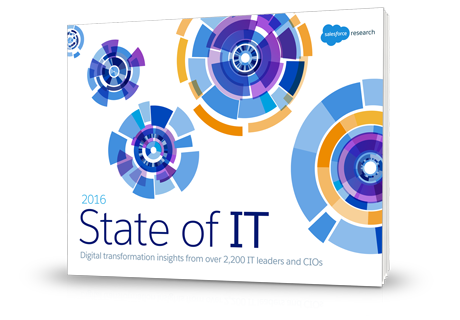 Download the “2016 State of IT” report now to learn how the IT industry is shifting and what top teams are doing to stay ahead. Please read and agree to Salesforce's privacy statement. © Copyright 2000-2018 salesforce.com, inc. All rights reserved. Various trademarks held by their respective owners.